If the deal goes through, all would likely be fine. It not, "there could be potential civil litigation by all shareholders," said one finance expert. Tesla CEO Elon Musk's comment Tuesday about taking the company private set off a flurry in share prices. The stock spiked at 13 percent before closing 10 percent up. His announcement via Twitter was highly unusual, although according to experts there wasn't anything clearly illegal about it. But it raised eyebrows — and Musk and Tesla could eventually find themselves in trouble with shareholders, if not regulators. The Securities and Exchange Commission, which regulates stock markets and trading, has strict disclosure requirements for public companies. Generally, a corporation issues a press release over a variety of methods and they file a Form 8-K with the agency. The intent is to make sure that all investors have equal access to information that might drive financial decisions. Musk said on Tuesday he had "secured" the necessary financing. Some members of the company's board said they met with him last week. 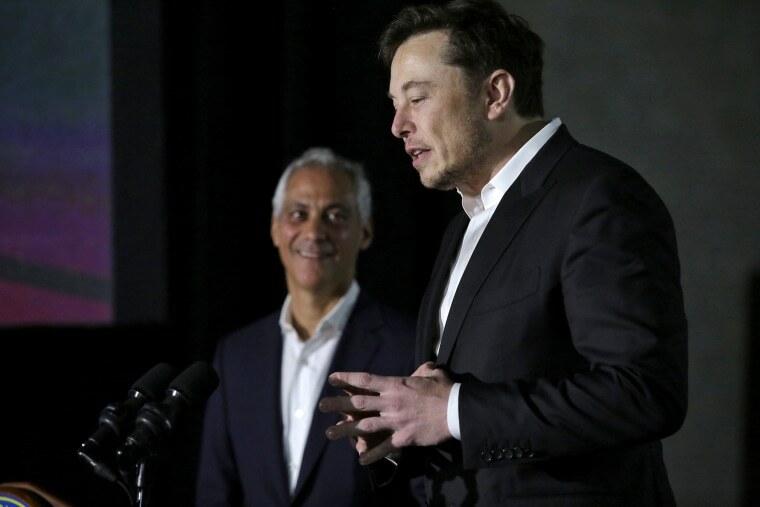 "I don't know that he's in trouble yet," said Bill Haddad, a partner with law firm Venable, who doesn't think Musk overstepped any legal bounds so far. "His concern should be to be careful that his representations are in line [with reality]." Tesla formally said in 2013 that Musk's personal Twitter account was one of the ways "we announce material information to the public about our company, products and services and other issues." But the company didn't file an 8-K to coincide with his tweet, although it did publish a letter he sent to employees. In that message, Musk said that "a final decision has not yet been made" about going private by offering a 20 percent premium, or $420 per share. "Since he has put it out to the world, so that it is not confidential [as] a possibility, not a surety, he should not be penalized by the regulators," said Deanne Butchey, a senior lecturer at Florida International University and former stock broker and investment banker. "The concern for regulators would be if he or any family members or affiliates traded on the euphoria that is existing based on his comments." There are many reasons why some CEOs prefer to operate private companies without the attention and disclosure that go with being public. Michael Dell worked with Silver Lake and Microsoft in 2013 to present a $24 billion deal to take his computer manufacturing firm private. Just last month, Dell Technologies said that it would go public again. Musk tweets on a regular basis “because he's a master,” said one finance expert. “He's the first person who has used tweets to replace the conventional PR department." Musk said that going private was a way to focus on decisions that were right for the company's long-term prospects. He wrote, "I’m trying to accomplish an outcome where Tesla can operate at its best, free from as much distraction and short-term thinking as possible, and where there is as little change for all of our investors, including all of our employees, as possible." However, some experts wonder what else might be going on with Tesla. Noted investor and short-seller Danny Moses says the company faces serious financial problems. Based on numbers in financial filings like the balance sheet, "there's no way it can meet its obligations without additional capital," Moses said. A higher stock price would make it easier for Tesla to gain the additional investment it needs. Christopher Ma, a finance professor at Stetson University and director of the school's investment program, has been working on a yet-unpublished study of Musk's tweeting patterns and their effect on Tesla stock prices. Ma said that whenever Musk says anything about Tesla or his other company, SpaceX, "on average it's a positive reaction." "That's why he goes on tweeting on a regular basis, because he's a master," Ma said. "He's the first person who has used tweets to replace the conventional PR department." Many Tesla investors conflate Musk the individual with Musk the CEO, Musk the majority stockholder, Tesla the company, and the stock, according to Ma. Anything that sounds good drives up the price. Should a privatization deal go through, all would likely be fine. If not, "there could be potential civil litigation by all [disgruntled] shareholders," said Patrick Malloy, head of the financial investigations program at the University of New Haven. If there was a successful prosecution, Malloy added, penalties could, in theory, be applicable, whether "a slap on the wrist or [possible jail time], depending on whether there was actual fraud and the scale of it." Given Musk's influence on the Tesla board and its knowledge of privatization efforts, it seems unlikely that he would be ousted from the company. Musk's personal finances also have a lot on the line. Stock analyst Jim Collins examined Tesla proxy statements and found that Musk was using more than 40 percent of his shares as collateral for hundreds of millions of dollars in loans at the end of last year. If the share price dropped low enough, Musk could face a crisis as lenders demanded payment.